Anyone who wants to make a top ten list of Montana snakes need not worry. Montana lists exactly ten snake species, making them all the best snakes in the state. 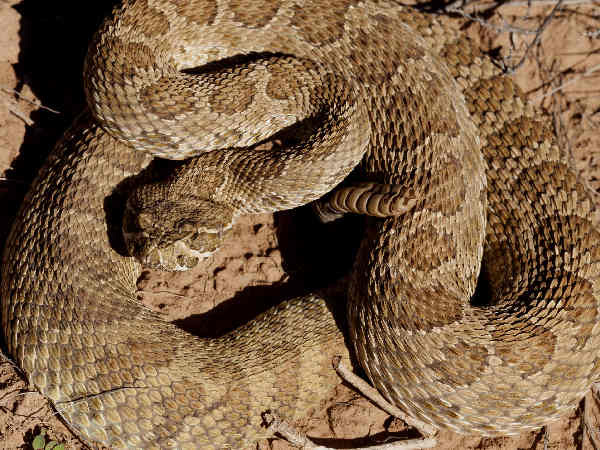 The only venomous state, the Prairie Rattlesnake (Crotalus mitchellii) ranges across the state. Tourists need to be aware that they often live in and around the state’s best fishing holes. Residents also need to stay aware that in some instances they are found in the neighborhood. And as far as introductory remarks go, Montana’s cold climate translates into distinct snake seasons. Late spring to early fall are about the only time snakes are out and about. In addition to the Prairie Rattlesnake, it’s a good bet that Montana’s residents and ranchers are familiar with the state’s three garter snake species. Although they might not be able to differentiate one species from the other. 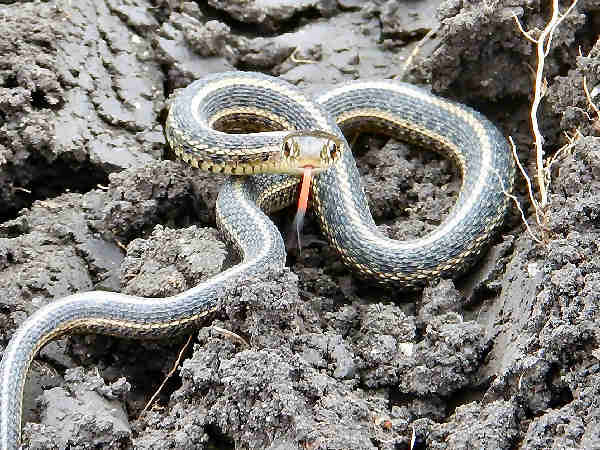 The first picture shows the Western Terrestrial Garter Snake (Thamnophis elegans). It’s common throughout the West. The picture shows a typical wandering garter snake skin pattern, characterized by the light color stripes. A close up picture would show the snake’s eight upper labial scales, typical of all Terrestrial Garter Snake subspecies. 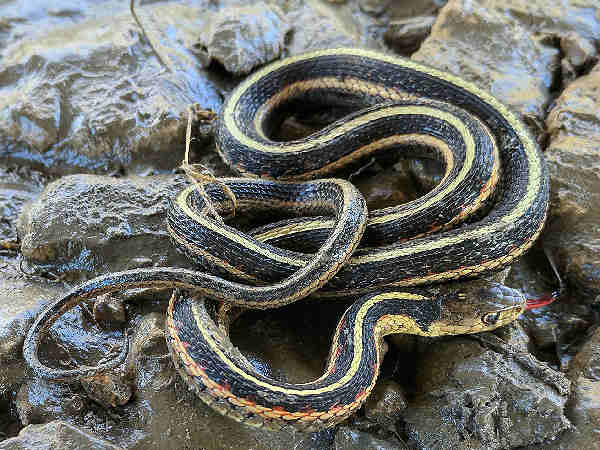 The Common Garter Snake in the picture is a rather bland looking species and easy to identify basically because it’s the most wide ranging of all the garter snake species, living in all of the lower 48 states. 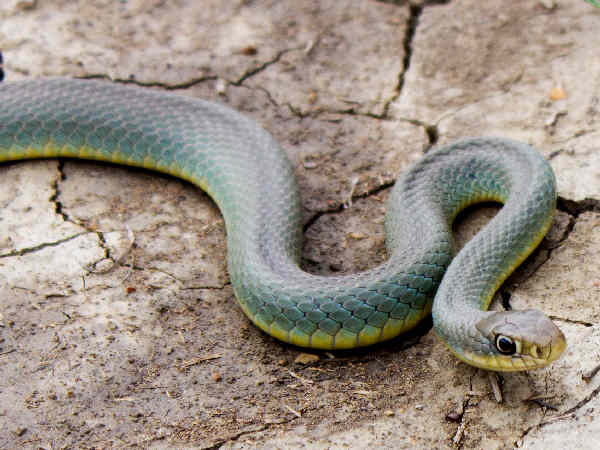 Plains Gartersnakes also have a dull color. They are very common in all of the grassland and residential areas east of the Rocky Mountains. 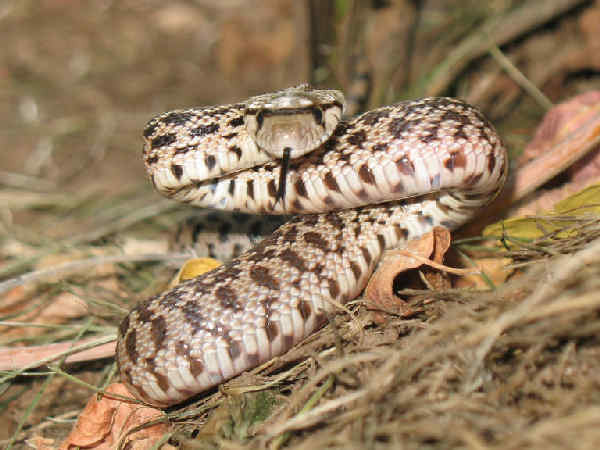 Depending on the source, up to five species of Hognose Snakes live in the United States. The Plains Hog-nosed Snake (Heterodon nasicus) is a small and bulky snake that lives east of the Rocky Mountains in Montana. The blotchy pattern on the snake means that it might be mistaken for a gopher snake or rattle snake. The nose is upturned. Central Plains Milksnakes (Lampropeltis gentilis) bring some color to the Montana top ten snakes. The head can have a distinct dark or reddish patch on it. 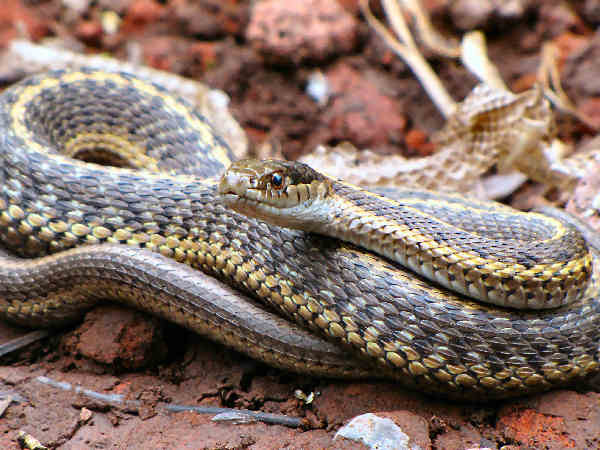 Gopher Snakes or Bullsnakes (Pituophis melanoleucus) are one of the three most common snakes throughout all of Montana. They can grow large and bulky. 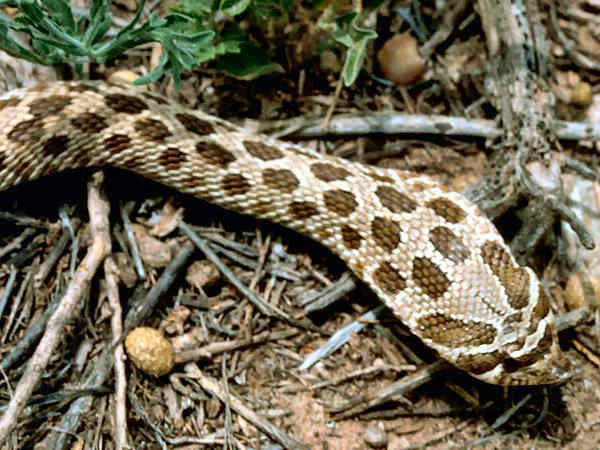 Their patterned or blotched body resembles rattlesnakes and they often rattle people who see them. All one need do for a quick field ID clue is look through binoculars or approach the snake with caution. Snakes don’t chase after people and they can only strike in terms of their body length. Being five feet away from a two foot snake is fairly safe. After approaching the snake, look for a rattle. If no rattle, think Bullsnake. The snakes best known as Black racers inhabit most areas in the East from southern Maine to the Florida Keys. Montana has a version that looks like the Yellow-bellied Racer. They range throughout the entire state. 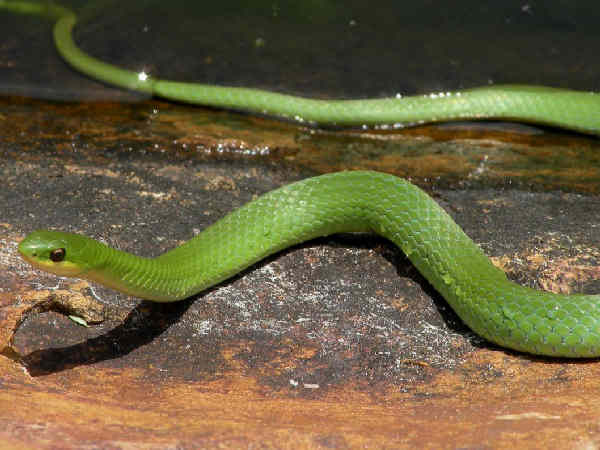 Smooth Greensnakes (Opheodrys vernalis) are small nonvenomous snakes that also go by the name grass snakes. They are insectivores who consume a good deal of grasshoppers and other pesty insects that live in the grasslands of the state. The Northern Rubber Boa (Charina bottae) range is limited to the western one-third of Montana. 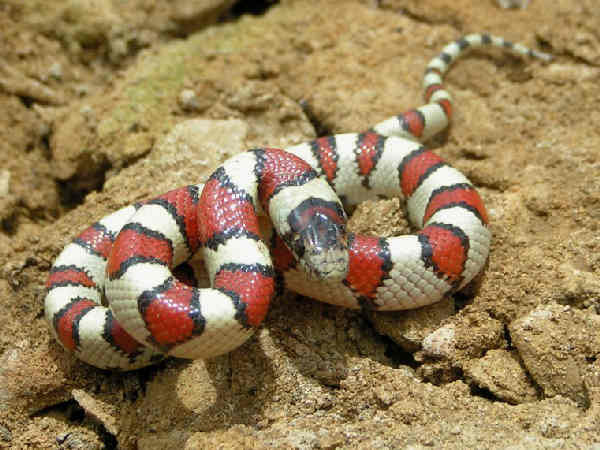 They are fairly small snakes, growing between one and two feet in lengths.